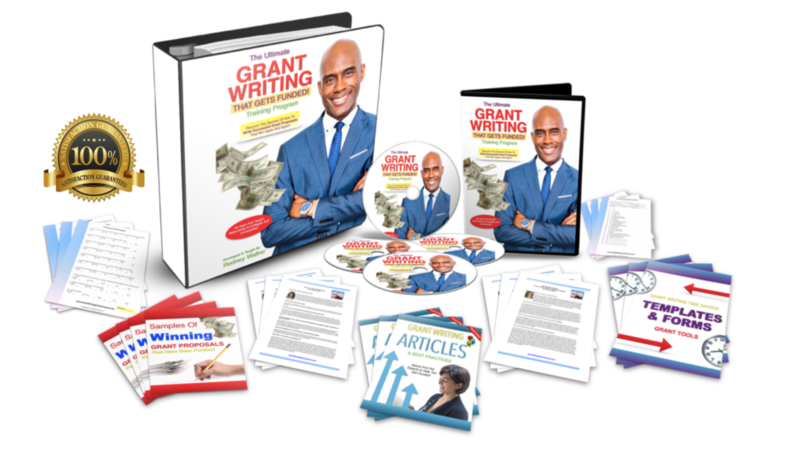 Learn To Write Grants With The Ultimate Grant Writing That Gets Funded Online Training! The first session will help you understand the entire course and benefit from tips to help maximize your learning experience. You will get an understanding of the grant writing climate and learn ways to start distinguishing your agency from others. You will discover the importance of learning to research organizations and potential funders who are likely to give to your cause. You will also discover how to keep from wasting valuable time and use the insight gained from your research to give you a competitive edge. Did you know funders have a certain way they like to be approached? In this module you will discover the best ways to do this and how to develop a powerful need statement with great outcomes. You will learn the types of questions you should be considering as you shape your narrative. This module explores the importance of being prepared by developing a grant proposal library which will help you develop a logical argument in your proposal by developing SMART goals. You will gain greater clarity on the difference between goals and objectives and how they compliment each other to describe what the grant seeking organization desires to accomplish with their project. You will learn the importance of developing a budget that effectively communicates what you are proposing your organization will do with the funding secured through a grant. Discover how to make use of in-kind donations within your proposal and learn how to infuse your writing with a passion that connects with the funder. Discover the most commonly used grant applications accepted by several funders and learn how to develop an effective evaluation statement for your grant proposal. You will also learn many of the typical things that go inside the appendices and how to write a compelling cover letter. This module is dedicated to help you learn how to submit your proposal the correct way without missing out on the important details for which funders are looking. You will discover some important things to do and ones to avoid doing with your grant proposal submission. You will learn the importance of critiquing your proposal and how to effectively get others involved in this process. You will explore some of the best ways to critique your proposal and conduct a self-evaluation to increase the success of your request.